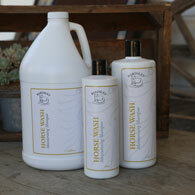 Bardsley's Horse Wash is a carefully formulated shampoo that includes a unique blend of Eucalyptus, Camphor, Orange Extracts and other natural oils. 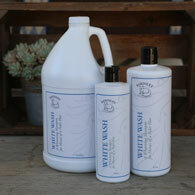 Bardsley's White Wash is an all natural concentrate that cleans and brightens light hair. 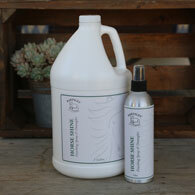 Bardsley's Horse Shine works like magic to detangle manes and tails while leaving a high gloss shine, a silky feel and a non-oily finish. 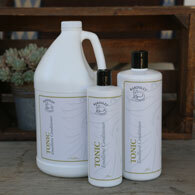 Bardsley's Tonic is a rich moisturizing conditioner specially formulated to be effective in cold water.